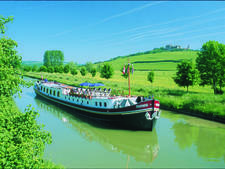 Go Barging's 12-passenger Napoleon sails the Rhône between Arles and Tain l'Hermitage/Tournon. 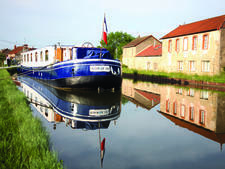 It was built in 1963 as a Belgian freight-carrying cargo barge before being converted into a hotel barge in 1990. 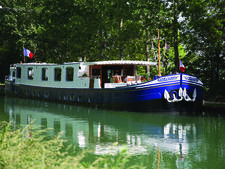 Public spaces include a saloon with piano keyboard, Bose iPod docking station and a small DVD Player, dining area and a sun deck with sun loungers and hot tub. 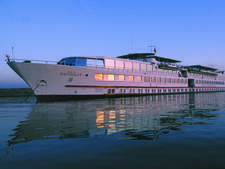 A large canopy over part of the deck provides a shaded dining area and covers some sun loungers and an exercise bike.